In the winter, St. Johann in Tirol is a popular and well-respected ski resort, but what happens when the last of the snow disappears? 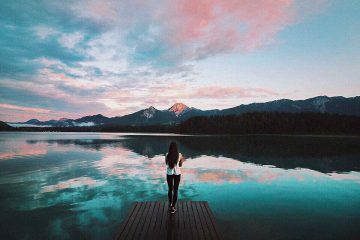 Well, then it turns into a perfect summer adventure destination. 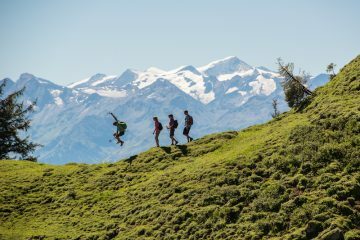 Flanked by the Kitzbüheler Horn and Wilder Kaiser mountain range, the town draws people in with unforgettable alpine walking trails and viewpoints, plus over 120 miles of road and mountain bike routes. 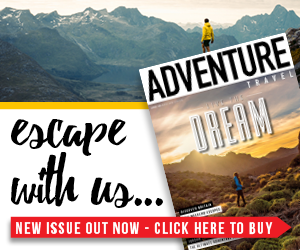 With its fantastic range of shops, cafes, restaurants and traditional hospitality, St Johann in Tirol is an ideal base for a summer adventure in Austria, and with the prospect of airborne adventures also on the cards it really does have something for everyone. 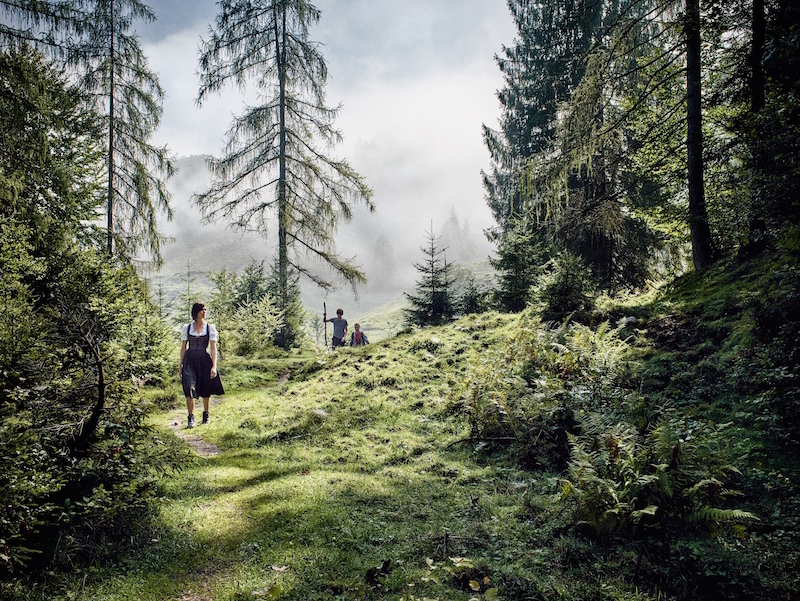 There’s world class hiking throughout Tirol, but for St. Johann in Tirol, there’s one route in particular that gets a lot of plaudits. The Koasa Trail is a 40-mile hike that is split down to four individual stages, forming an awesome four-day hike that explores the lands around Wilder Kaiser (known locally as the Koasa). 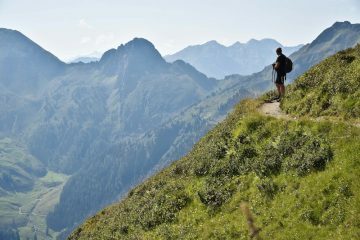 Each stage of the hike guarantees different views of one of the most imposing mountain massifs in the Eastern Alps. The first stage will take you north from St. Johann in Tirol to the district of Griesenau. Along the way you’ll cross Niederkaiserkamm ridge with its beautiful forest and fantastic views of the Leukental Valley to Gasteig, pass through fairytale forests and glimpse the magnificent Wilder Kaiser. Highlights on day two include getting closer to the Wilder Kaiser as you venture through the Kaiserbachtal Valley and reaching the summit of Stripsenkopf (1,807m), from where you can enjoy dramatic 360-degree views of the area’s rugged and imposing mountains. The route then loops round back to Griesenau. Day three sees you travel east to the town of Erpfendorf. Interestingly, the route takes you through the Teufelsgasse, an alley-like labyrinth that was used as a hiding place by soldiers during the chaos of war. To this day, you can still see the initials and symbols of soldiers carved into the rock. 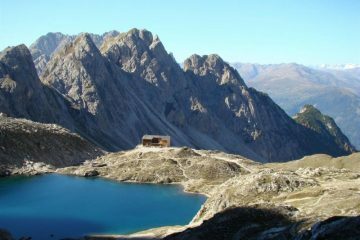 Two thirds of the way into the walk, there’s also an opportunity to take a detour to the Prostkogel, where you’ll find a WW2 aerial patrol building that offers extensive views to the airspace and the surrounding scenery. Stage four sees you return to the town of St. Johann in Tirol via the fascinating Griessbachklamm Gorge. Expect suspension bridges, jetties over the waters below and beautiful waterfalls. Alpine meadows, limestone rock and pristine forests line the final few miles before you arrive at the end point with sore feet, tired legs and memories to cherish for years. For more information head to www.kitzalps.cc/en. 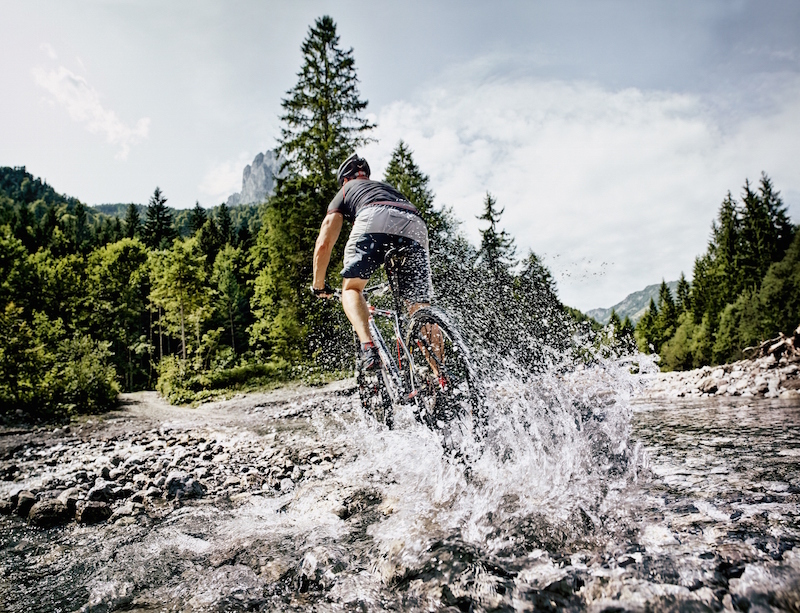 Every August, hundreds of cyclists descend on the region around St. Johann in Tirol for the World Cycling Championships, which is pretty good evidence of the fact that this area is prime cycling territory. 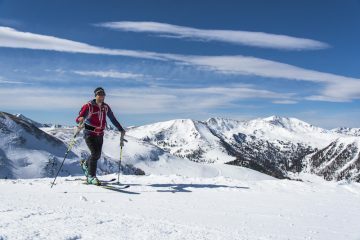 The valley is home to multiple routes that take you past typically serene alpine meadows, past quaint hamlets and alongside picturesque streams and rivers. One such route along the valley is the Wilder Kaiser bike path. 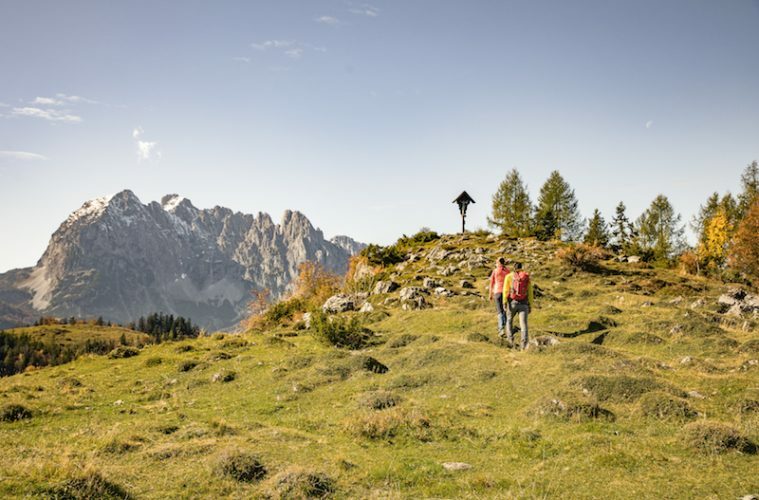 Running between St. Johann in Tirol and Wörgl, the route provides ample opportunity to lap up the beauty of the magnificent mountains and massifs surrounding the valley. 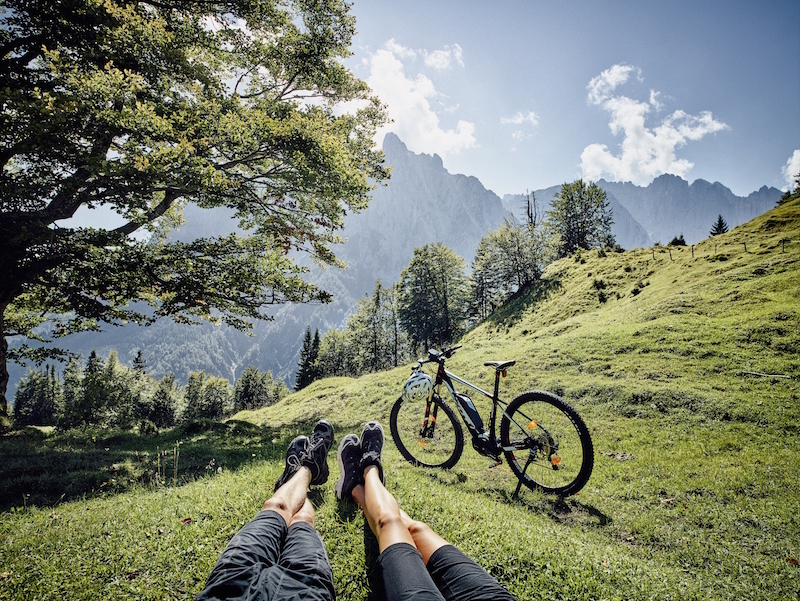 Of course, there are also ample opportunities for mountain biking with tracks leading into the mountains, past idyllic lakes and through dense forest. With the impressive massif of Wilder Kaiser so close, it would be rude not to visit, and the great news is that there is a mountain bike track that takes you right to the foot of its limestone walls. The route starts in St. Johann in Tirol, heads west through the valley and then branches off toward these impressive peaks near the settlement of Stangl. With every rotation of the pedals and every pang of lactic acid you’ll grow closer to this magnificent place and eventually you’ll reach Regalm, a mountain hut that marks the end point of the route and a perfect place to soak up the views of Wilder Kaiser and the rugged Kitzbüheler Horn across the valley. St. Johann in Tirol also presents visitors with the opportunity to try something new. Adrenaline junkies may be tempted by a tandem parachute jump, which sees you flown up to 4,500m before the doors open and the onrushing wind brings the reality of jumping out of a moving plane. A breathless 50 seconds of freefall follows before a serene journey back to ground. Tandem paragliding is an alternative for those that aren’t tempted by the high-speed thrills but would still like to experience the beauty of Tirol from the air. If you like food almost as much as you enjoy the outdoors (and who doesn’t? ), you’ll need to plan your visit around the annual dumpling festival in St. Johann in Tirol. On 22 September, caterers will serve 26,000 dumplings in over 20 different varieties, making it a culinary feast. You’ll also find the longest dumpling table in the world (a whopping 500m long! ), live music and a fantastic atmosphere. See www.kitzalps.cc/en for more. “Even when travelling I enjoy working with vegetables and seeing how people in other parts of the world grow theirs. Now thanks to YouTube I can show other people how I grow my vegetables here in Tirol.” Discover more insights from locals at www.love.tirol.